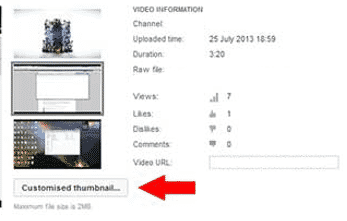 You may have noticed videos on YouTube with custom thumbnails. This is becoming more of a common practice, as designing a custom thumbnail is one of the best things that you can do to get your video noticed on a search page. If you leave it up to YouTube’s default settings, you’ll get a frame selected at random, which more often than not is a poor representation of your video. That’s not a good first impression that will make people want to click and watch. So first let’s look at how you can create a custom thumbnail, and then learn a few ways to make it stand out from a crowded webpage. 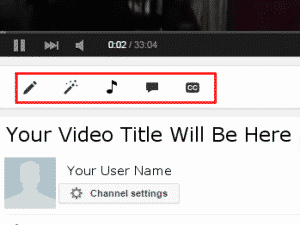 First, sign into your Google account, and go to your YouTube channel by clicking, “My Channel.” Then click on Video Manager at the top of the page, which brings up your list of uploaded videos. From there you can choose the video you want to edit. Right under your video you’ll see several buttons, which are highlighted within the image to the right. Click on the “edit” button, which is the first one that looks like a pencil. Now you can edit the video’s info and settings. On the right side of the video you’ll see series of three generated thumbnails, and right below that is a button with Custom Thumbnail. Click on that, which will allow you to choose a photo from your computer’s hard drive. YouTube suggests a high-resolution image of at least 640 x 360 pixels, but 1280 x 720 would be better (16:9 aspect ratio). This is important to ensure that your thumbnail looks great across different browser types and various mobile devices. OK, that’s the basics, but to make your new custom thumbnail jump out from all the others on the page, you should do a few things to enhance its visibility. Exaggerate the brightness, contrast, and saturation to make it pop. Remember, the thumbnail is only an icon-sized image, so it will always be small. It isn’t actually seen on your video. Put a bright colored frame around it. Red and yellow are the most eye-catching, but use another if it blends well with your image. Or try using something creative like an actual picture frame – many photo-editing apps have this feature built in. If you don’t feel comfortable with image-editing, you can easily find someone to do this for you on sites like Fiverr or Odesk. You’ll only spend $5-$10, saving hours of time and getting a better quality thumbnail. Paste some large text across the image to get even more attention. Keep it short and to the point, and make sure that it doesn’t totally obscure the photo. The thumbnail should accurately represent the content and reinforce the title of the video. Don’t use a provocative image as clickbait. YouTube doesn’t like it, and neither will potential viewers. Last year, Google removed “authorship” and other visual enhancements from their SERPs, and so thumbnails are about the only thing left that can make your entry stand out on a list. As far as YouTube searches go, yes, there will be many other thumbnails on the results page. But if you take just a little time to make sure that yours is the most visually appealing among the crowd, that’s going to result in more clicks, more views, and eventually a higher ranking on the search engines. And if you want to keep your video ranking high for the long run, consider letting some of the professionals in the industry work their magic. 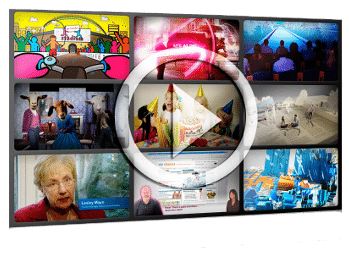 Here’s a review of some of the top providers that can get your video on the road to viral with their video SEO services. I forgot to meotnin one really important tool I use Jott Assistant.Jott is a call-in service (automated) that asks me who I want to Jott . I can say, me , or the name of anyone else in my address list. I then speak the message (enunciating properly). I can get reminders if I want. Jott then sends the message to me (or whoever I Jotted) through my (or their) email address.So, if I am talking to a client when it is impossible (or very inconvenient) to jot it down, I call Jott and it does it for me. I have it set up under speed dial and it is the first record in my phone’s address book.It saves me time and the experience of having forgotten an appointment.